None of that would be possible, or at least as easy, without software and apps. Consumers today have more choice than ever. In the App Store for iOS, there are currently around 2.1 million apps, and that is after Apple implemented changes and improved the quality of the apps available by cutting out a few. Most of these are also available for macOS users through the Mac App Store (MAS) and third-party or developer websites too. With such a variety, it’s important to distinguish how apps price themselves to subsequently know how you can save money by making the right choices. If the app is free, it usually means you are likely to see adverts or have data sold to third-parties and then encounter targeted adverts elsewhere, or receive marketing emails. It’s also possible that the app is charitable, and the company behind it makes their money in some other way (e.g. food delivery or travel apps). But generally remember the popular maxim that if you don’t pay for the product, you are the product. A popular choice for lifestyle apps and games, in-app purchases let you choose the specific level of your commitment to the app once you got to try it out. Usually, paying for the app unlocks premium features, disables ads, or gives you some unique attribute (common in games). Similar to the in-app purchase option above, freemium apps usually give you a limited functionality to try free with no time restrictions, but would ask you to pay to get the full feature set (popular with photography apps). The most simple but not that common type of payment today is an upfront one. Just pay for the app before you fully use it. Lately, some apps in this category started to offer free trials. Very few apps, such as Sublime Text, offer trials without time limits. More and more subscription apps infiltrate our lives. And for good reasons. They let you pay incrementally, as long as you are using the app, and also give developers steady income to work on continuous improvements. These apps usually have a trial period though to encourage downloads. As with any product, software can also be bought on sale or in bundle deals. Apps that serve certain markets, such as students in schools and colleges, are often priced cheaper to encourage purchases and possibly gain a dedicated following. If you are on a budget, looking out for deals can save you a lot of money in the long run. Saving money is, of course, almost always a smart move. Especially when you are on a tight budget for various reasons. You could be at school or trying to control your spending in general to save for something (retirement, anyone?). So it is tempting to always try to find deals for the software you need. And in many cases, free alternatives do exist. Most of the time, free software is risk-free. But not always. Unless you know that the developer behind the app is secure, you run the risk of downloading vulnerable software that could infect your computer with malware and viruses. There is a risk that you could download something that sells your personal data, steals your bank details, or at least cripples your computer until it’s fixed (which can be expensive and require new premium software to do that). So sometimes not paying for apps aggressively can backfire and actually cost you more overall. 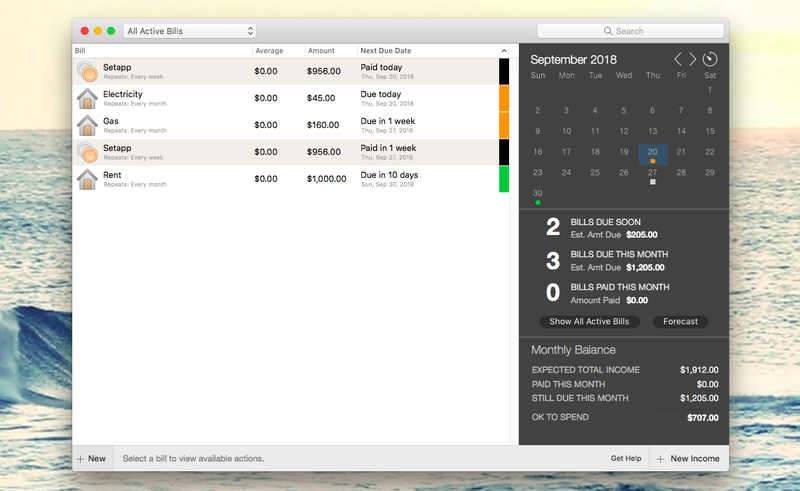 Subscribing to software is in fact a great way to save money. Instead of paying a one-off fee — which could be quite a lot, depending on what you are buying — you can pay a small monthly amount. And when you don't need the software anymore? Cancel the subscription. It is that easy. Often, if you know you need a subscription for a set number of months, you might be able to get a discount provided you sign-up for a specific minimum amount of time. Subscription apps often start with a free trial period, where you can see if the app or apps are useful before committing to a monthly amount, thereby reducing the risk. 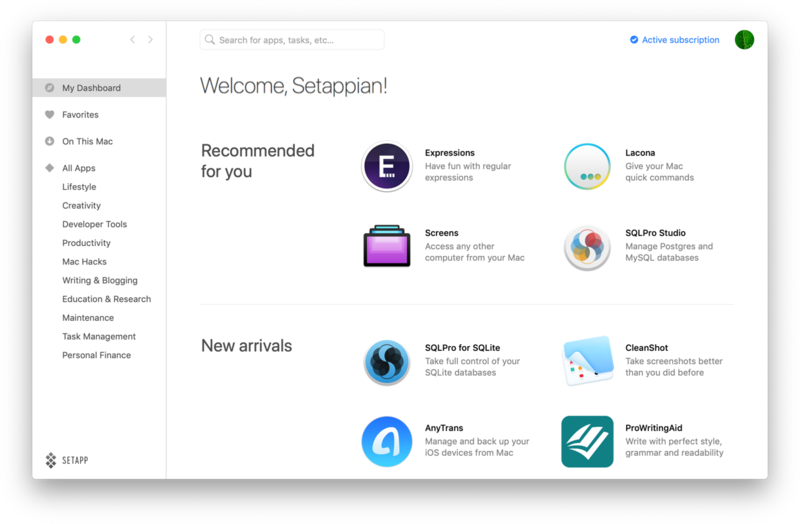 One way to get all of the apps you need without it costing a fortune is with Setapp. Pay a monthly subscription of $9.99 (or even less if you are a student) and get instant access to over 100 high-quality macOS apps that cover nearly all categories of your daily life. No need to worry about in-app purchases or individual, sometimes costly, one-off fees. Get everything you need, from project and time management apps to file recovery and budgeting tools in one place. Oh right, budgeting tools. That’s the trick. When you are on a budget, it is important to keep a close eye on your finances. Apps such as MoneyWiz and Chronicle can help with that, so you aren't wondering what you’ve got in the bank and what you’ve got coming in and going out. This way it is easier to budget for expected and unexpected costs and, when you can afford them, treats and fun days or nights out. But good planning doesn’t stop at finances — it is equally useful to have a clear idea about what food you’ve got in the kitchen. Planning meals is closely tied to budgeting. Therefore, if you know what is in, then you can stick to a food budget more easily. Use MacGourmet Deluxe for that. You see, saving money doesn't have to be a challenge. With the right software, you can save money, budget, and get everything done without spending a fortune on premium apps, or downloading something that potentially poses a risk to your computer.